As health care reform legislation continues with the sweeping changes in service delivery systems, the substance abuse and mental health fields will have to move forward as well. The amount and depth of the transformation will be greater by far than anything previously experienced. Reform will necessitate not only organizational restructuring, but the development of new services and technologies not even dreamed of two years ago. To be successful and sustained over time, reforms from addiction and mental health providers will demand a radical shift in the current culture, behaviors and mindsets of our health providers. All addiction providers should expect an unprecedented magnitude of change like nothing they may have ever experienced before. As never before, organization leaders should view these upcoming events as ones essential to their survival. Without these changes many people needing health services will go untreated, because millions of dollars will be lost in Federal Block Grant dollars that previously went into publicly funded care. As part of doing business under the Affordable Care Act all providers will find it necessary to have formal contracts with Health Payers, Managed Care Behavioral Health Care Organizations, and medical providers for the interchange of information, patient referrals and for payment of services. More rigorous credentialing of staff and National Accreditation of organizations will be mandatory in order to stay in business. Utilization management by managed care entities specializing in behavioral health care services with lengths of stay measured against national health care standards. Each organizations success or failure will rise or fall on their capabilities in providing adequate patient pre-certification, services and benefit authorization information. Electronic billing systems must be in place in order for providers to send information and receive payments – these systems will become an accepted part of daily operations. Increased use of diagnostic screening tools must be in place to substantiate diagnoses. As such, science based systems must include an increased use of decision-support and treatment planning tools across longer episodes of step-down care. The Affordable Care Act mandates expanded communications and collaboration with other healthcare providers, such as primary care physicians, federally qualified health centers (FQHC’s) and other specialty providers. Documentation of substance abuse treatment will require that it is evidence based and consistent with national standards of performance. To meet these objectives programs will have to develop new levels of services for co-occurring disorders and build relationships with primary care clinics. Future contracting by the States will require financial incentives for treatment programs to provide timely, accurate and efficient reporting of health information. 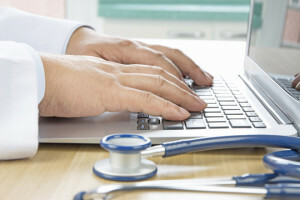 Electronic health record systems to coordinate care, safety (including medication management), and electronic billing will become a part of standard business practices. Programs should expect an increased demands for reporting performance outcomes, enabling clinical improvement procedures, improved financial management and building more efficient operations. Reform presents many opportunities for organizations to build transitional change into daily activities. One of the greatest opportunities health reform is offering is the ability for expansion and diversification of new revenue sources. In today’s world, the majority of substance abuse providers rely almost entirely on State and federal funding to cover the costs of providing services.